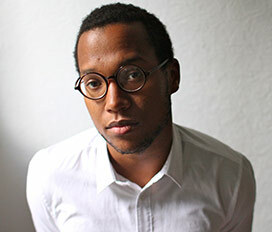 Branden Jacobs-Jenkins was the recipient of The Vineyard’s Paula Vogel Playwriting Award, given each year to an emerging writer of exceptional promise. During his year-long residency, he wrote in an office carved out above The Vineyard box office. One of the plays he began that year was GLORIA, which also received a lab production for members on the road to its world premiere this spring. Branden’s work has since met with acclaim — his plays APPROPRIATE and AN OCTOROON received the 2014 OBIE Award for Best New American Play, and the New York Times wrote that he “has established himself as one of the country’s most original and unsettling dramatists.” Branden spoke with Literary Associate Miriam Weiner about themes of identity and authorship in his work and ambition in New York City. Miriam Weiner: What was the seed idea for GLORIA? Branden Jacobs-Jenkins: Well, the very first thing that led to the writing of this play happened while I was still living in Berlin. I had moved to Germany in 2010 for a couple years. It was right before I was about to move back to the U.S. and begin my residency at The Vineyard, and I was panicking because I needed a new play to work on while I was here, and I was battling one of the worst cases of writer’s block in my life. So I spent two weeks in my studio banging my head against a wall, starting play after play after play and throwing them all out and then, one day, I sat down in this office chair and had a sense memory of when I was working at The New Yorker and the experience of being in a cubicle with a friend/co-worker of mine, and I just started writing. I imagined the two us — or two people like us — sitting in our cubicles on an average day at work, and I just let them talk and eventually they became Dean and Ani. 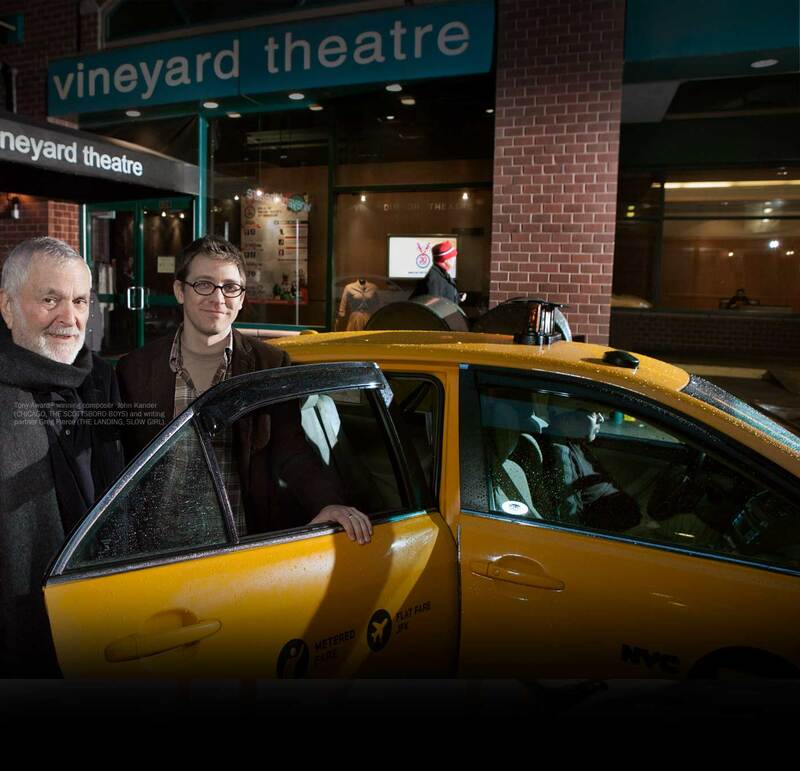 MW: How much of the play is based on your experiences working at The New Yorker? BJJ: Very little, actually, and I think people will be disappointed if they come to the play looking for some sort of behind-the-scenes Bright Lights Big City tell-all situation. I think I wanted to write a play about work because it was during a period in my life when I did not have a job, and I was missing the daily structure of having one. And the only office job I’ve ever had was working at the magazine, so obviously I drew heavily on that experience to build out the world of the play, but none of the events in the play actually happened to me. If anything, I was obsessing over that moment in your early adulthood when you’re learning how to “be a part of the workforce”: how one spends this period of one’s life, and does it matter how you spend it, and is it supposed to matter? How disposable are your twenties? I think about when I was at a cubicle every day for years, and how surreal it felt once I realized that the essence of my job was just to be there, even if I had no work to do. I was like, “Well, if I don’t have any work to do, why can’t I just stay home and be paid?” but I’m actually being paid for my presence. And then you look up and realize you’ve spent years of your life sitting in the same chair. It’s also worth mentioning that I was also drawing on some events I kept seeing in the news over and over again around the time that I was writing. Events that still show up — and seem to be showing up with even more frequency. MW: GLORIA used to have the subtitle ‘Or Ambition’. Can you tell us about the theme of ambition in the play? BJJ: New York is a city that basically runs on ambition. That’s why an assistant is willing to work for like, $26,000 a year, in a city in which that is definitely the poverty line. People make such sacrifices to work in fields that mostly fulfill some very strange emotional or psychological need that they may not even be fully aware of — needs which may not even be healthy at the end of the day. I’ve also met people who just seem to be ambitious for the sake of ambition — they’re just addicted to the feeling of moving up and ahead in life. In any case, I was interested in the ways that this kind of relationship to the idea of work affects the compromises you make with yourself and your morals. I was also interested in what a writer’s ambition is, because I was writing about a group of people whose job is to basically transcribe life and experience and decide what’s newsworthy or not newsworthy, what lives have value or not, determined by what happens in them. MW: How do you see GLORIA fitting into your body of work? Are you trying to do something different, or are you writing about the same themes consciously? BJJ: I think a lot of my work has been wrestling with the idea of authorship in some way, and I think this is my first play in which the drama is pretty overtly anchored around that theme. It’s also the first one in which I’ve drawn on personal, biographical details in a slightly more explicit way in order to tell the story. I still think — I mean, I don’t want to give the play away, but my interest in the playing of character and multiple characters and what that might say about identity is still here. MW: Do you have a [metaphorical] theatre father or mother? BJJ: Well, Caryl Churchill is my theatre mom, like the person who I always go back to and feel inspired by, and who, in some ways, really inspired me to try and do this. My theatre dad keeps changing — I used to say it was Sam Shepard, and in some ways he still is, in that he was the other person who I read and was like “Woah!” but now I feel like I can sense other influences. I have this oedipal thing with August Wilson that’s really profound, and that I’ve come out on the other side of and now I really love him but there was a time when I really struggled with him. But in terms of role models in the theatre — Lloyd Richards is an incredible inspiration, but at the same time, a lot of my influences are from performance art or from dance. Michael Haneke films are so inspiring to me, the way he could combine philosophy and storytelling and allow the film experience to explain a very abstract idea. That is really cool to me.